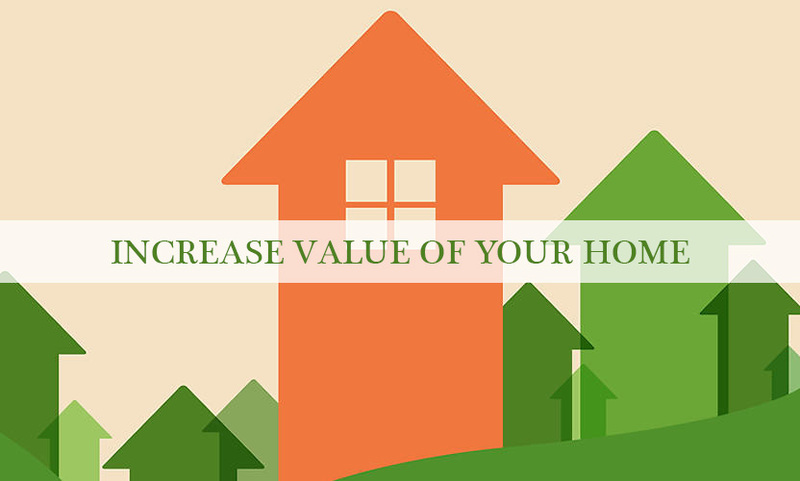 Whenever the value of one’s home is being evaluated, there are various factors influencing your home’s value. The basic structure of the house, functionality of the house and décor are the main factors which play an important role in determining the value of a home. With time to time a house needs appraising and small nudges here and there to make the house more valuable and increase re-sale value. The following tips will help you to increase your home’s worth. De-clutter your house– A clean, sparkling house is what creates an impression and attracts buyers. Given a choice to choose between a dingy house or a bright house, which one would you go with? Prioritize maintenance, fix small problems which might create hurdles and increase expenses in the future. Enhance the positives– try and work on a new perspective for your home. For instance, accentuate your living room with lights/chandeliers or paint a wall in contrast to add colour. A well done-up house can boost the value of the house. Avoid overdoing– going overboard with giving your home a makeover can make your home look more done-up and loud. Price of over-done homes are usually quoted higher by the seller. We should keep in mind it’s difficult to find a buyer and expensive homes are more difficult to sell.